So around 5 years ago I was in the same position as many of you, I made my way to my Sixth Form to collect my results and I seriously was so nervous. I was so worried I didn’t get the grades I expected because as much as I knew I tried hard and studied, I knew there was so much more I could have done. Getting into university was not even a choice for me. I had to do it. Where both my elder brothers were in university and my dad’s goal in life was seeing all three of his kids graduate, I was under so much pressure to get in. I remember the exact feeling of opening up my envelope and looking around me at everyone cheering and celebrating, I literally needed the paper to say the right thing. So I opened it up and I read “Sociology A, Psychology B, English Literature C”. (And a B in General Studies, but who really cares about that?) For that second my face dropped. I needed ABB to get into my university of choice and I didn’t get the grades! I then logged on to my UCAS portal on my blackberry and saw Brunel University accepted me, BUT Aston University didn’t. I didn’t technically want to go to Brunel (nothing against the uni), but my idea of uni was for me to get away, a new city, make new friends and get a break from everything going on for me in London. Then one of my favourite teachers approached me and asked me how I did. I let her know I did okay, I wasn’t very happy but I did get accepted. She had a look at my sheet and saw that I had been given 0 for one of my English Courseworks and was really confused. She took my sheet to the Head of English at our school (who was also my English teacher) and asked her what happened there and the teacher was as confused as I was. Cutting the long story short, we found that although I had submitted my coursework the examining body somehow failed to receive it and marked it as not submitted. This was literally the difference between getting a C or an A. I had no idea what to do, I thought that if I didn’t accept Brunel there and then my place would be taken away from me, but if I did accept it I would have no chance of getting into Aston. Luckily we had a great Connexions advisor at our school who talked me through the whole process and told me to ring Aston up immediately and let them know the situation and she would contact the awarding body to get confirmation of their mistake. That long process of being on hold while I waited to speak to Aston was terrifying, but finally I got through and explained my situation and as understanding as they were the course was now full up and there wasn’t much chance of me getting in. UNLESS someone who has accepted dropped out. So following the advice, I called Aston every couple of hours for 2 days to see if there was any update and if I could get in. At this point, I am so grateful to my mum. She made sure I kept calling and even called on my behalf so many times. To the point where she got hold of the Head of Social Sciences at Aston and told him “My Daughter HAS to Have a Place!” She would not rest until she helped me get my place, even though her and my dad didn't really want me to go so far away. She knew it was what I wanted so did everything she could to help me. Finally 3 days after results were out and I finally got accepted into Aston University! The examining body changed my official grade to an A and I was now an Aston University Student! 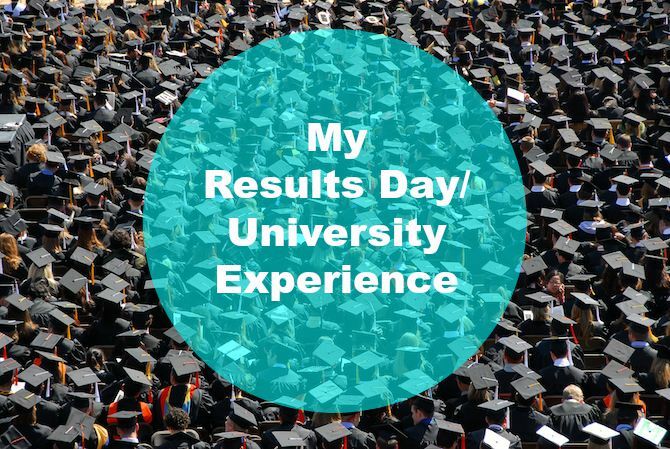 My experience at Aston University was AMAZING. I knew that was definitely the right choice for me. I remember visiting the campus on it’s open day and imagining myself living there. Being right next to the city centre, with halls with an en suite and double bed and a 5 minute cab to all the clubs and bars I was sold! I actually went to uni with hardly any friends, nobody from my sixth form or high school was going to Aston but I think this was something I liked. I wanted a bit of a fresh start, I wanted to have to be independent. I can’t really find any faults in my university experience to be honest. I really enjoyed my course (I studied Psychology and Sociology), met some people who will be life long friends and learned so much about myself and how to be self-reliant. If I was to give one piece of advice to anybody about to start their first year at any university it would be to just be open minded. Go into the experience with a positive attitude, be excited and just be approachable. It doesn’t take long at university for groups and cliques to form which makes it harder to make friends so during your first few weeks at uni, speak to everyone. Be social. Just be nice and then you’ll have your pick of people who you connect with. Also don’t stress. Think of it like this, now that you’ve done your A Levels don’t you look back on people doing their GCSEs and think “Why you so stressed? It doesn’t even matter too much” well it’s the same for the first year of uni. Obviously study and try your best, but don’t forget about all the other things you’re meant to learn about in your first year (Especially if you’re moving out and living on your own). So Congratulations and Good Luck to everyone who has got into University this year, it’s a great your hard work paid off. However, if you did not get into university or simply choice this wasn’t the path for you then do not worry. There are so many options and opportunities out there for you, from Vocational courses to Apprenticeships. Take some time to figure out what the best path is for you and remember these isn’t just one route to success, just be committed to whatever you do choose to do. Hope you enjoyed this blog. 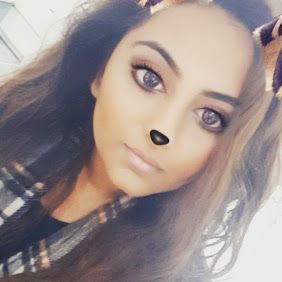 I have also written a post about Job Hunting as a Graduate which some of you may be interested in which you can check out here. Leave your thoughts and comments below and I would love to hear about your own experiences!